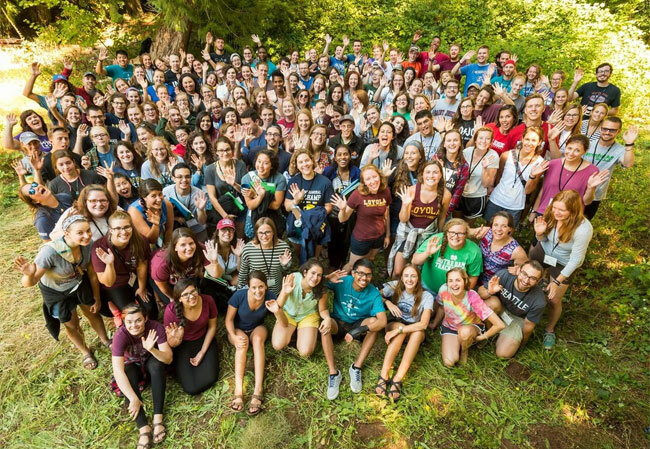 Jesuit service organizations turn 60! This year marks 60 years of the Jesuit Volunteer Corps and Jesuit Volunteer Corps Northwest. The service movement's slogan famously espouses to "ruin volunteers for life." Combined, roughly 18,000 young people have spent a year of their lives lending their hand to those on the margins in the U.S. and abroad. Many of these volunteers have been Alpha Sigma Nu members, living their pledge to service in a very real, tangible way. Read the full story and volunteer stories from Jesuits.org here.